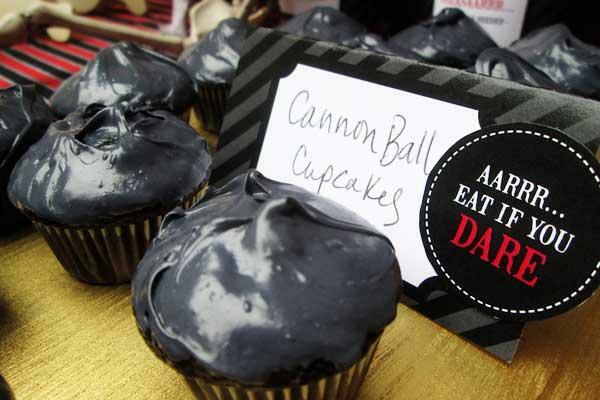 Black cannon-ball cupcakes were simple to make, along with red cherry pomegranate punch, which was a huge hit with the kids. 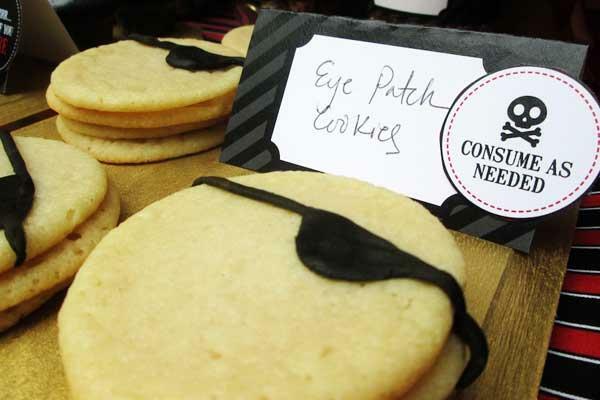 They also decorated their own sugar cookies with black eye-patches for munching, and picture frames for take-home mementos. 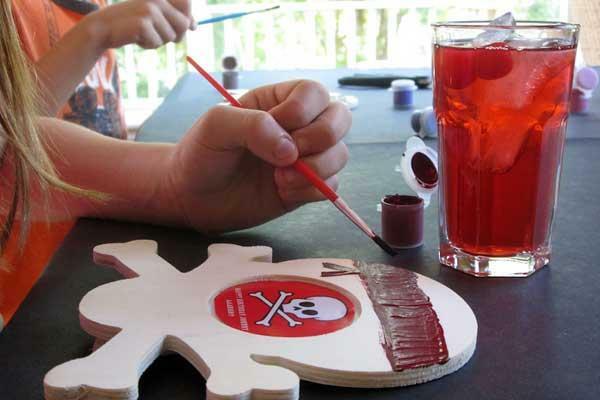 By hook or by crook, these pirate party ideas will be the talk of the neighborhood. 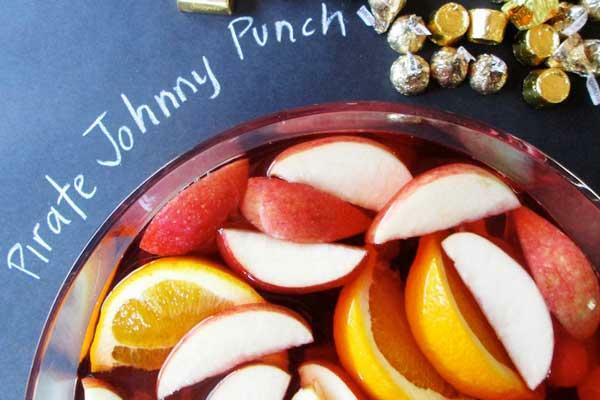 Look for more Halloween party ideas and kids’ birthday party ideas on our blog! 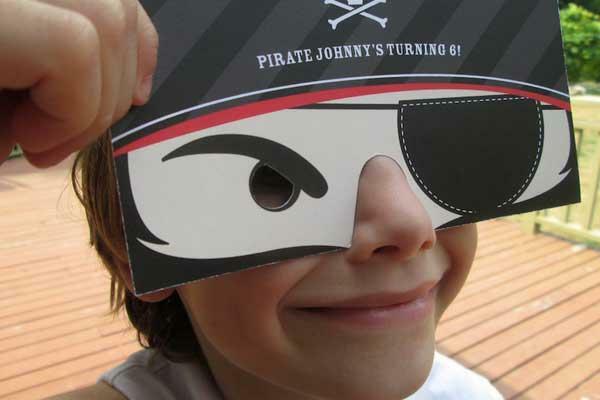 And be sure to check out our Halloween invitations or kids birthday invitations that perfectly set the theme! Love this! 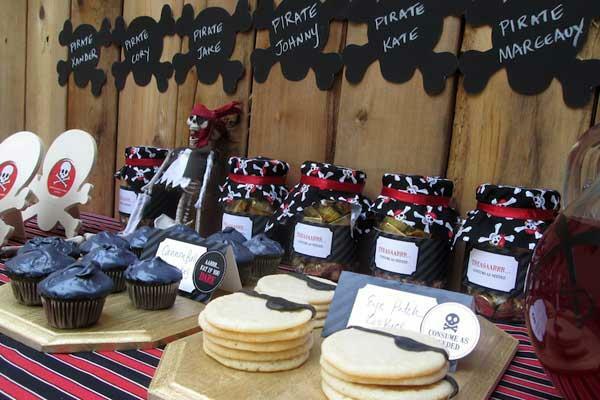 Came across your page while researching pirate party ideas for my son’s 3rd birthday party next month. I was wondering if you could tell me where you found the crossbone picture frames and the black die cuts that your wrote each child’s name on? I’m sure if be able to find more crossbone stuff closer to Halloween and wish I would have already decided on this theme before last Halloween so I could have stocked up! Thanks! Hi, Jennifer. Sorry for the delayed reply, but we have a new person working on our blog, now and she’s just catching up with comments. Since that party occurred several years ago we don’t have any record of how those frames or die cuts were made, but we DID find a site that has free printables that look pretty close, if you wanted to cut it out or trace it from there! Here’s the link. Good luck with your party!